It’s a cold wet night in Normandy. Today has been about one thing, riding motorbikes and doing it quickly. Time to let off steam after the intense emotions of the last couple of days, but also time to reflect on what has gone before. I said at the beginning of this little odyssey that this was a personal pilgrimage to stand where my two Grandfathers had been nearly 100 years ago. In the roundness of the statement, I feel that I have achieved my goal, but at the same time I seem to have uncovered much more that I will need time to ponder and study. The existence of the book detailing the history of Siege Battery 94 and accompanying map were a godsend and we were able to pretty much pin point the exact position of the guns at each location. 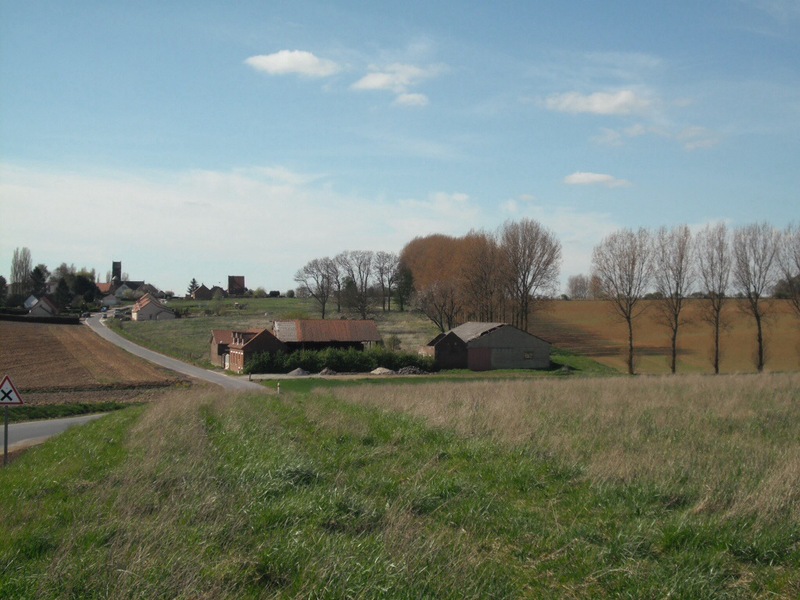 This is “the sunken lane between Ovillers and the Bapaume Road”. 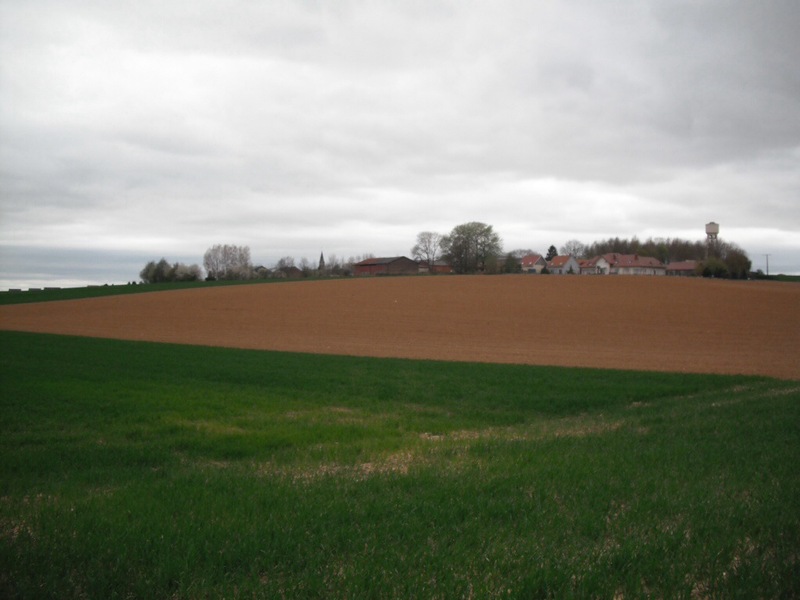 We moved East from Albert to Mametz, where Grandfather Charles and his fellow field gunners supported the 38th Welsh Division as they made their assault on Mametz Wood losing 4000 men in five days. Today the wood is peaceful and alive with the new life of spring. Shell craters still lie in the undergrowth, a tangible reminder of the wood’s bloody history. On the ridge facing the wood, from where the Welsh soldiers started their attack, stands probably the most striking memorial on the whole Somme battlefield. 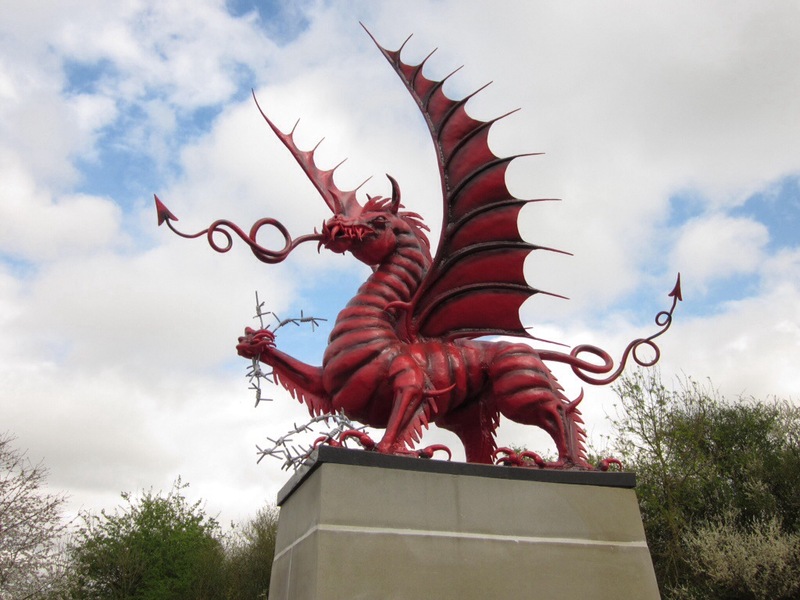 Y Ddraig Goch, The Red Dragon, stands defiant facing Mametz Wood, it’s claw tearing at barbed wire atop a three metre plinth. Awe inspiring and strikingly simple. It made me very proud, yet at the same time very sad. Thank you all for riding along with me on this, very different, trip. I have needed to do this pilgrimage for a long time. No more cemetery, or memorial photos for now, but maybe I’ll share some further thoughts in the future. Please do two things for me, eh? 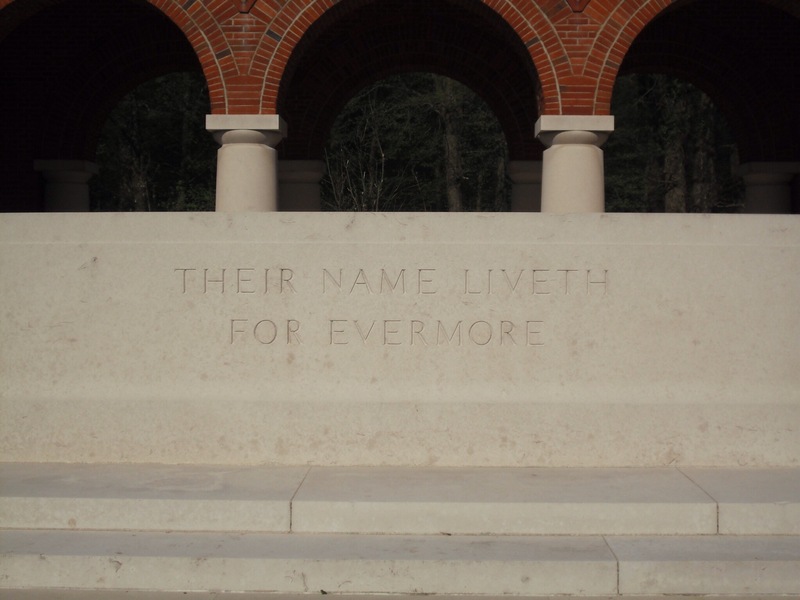 This entry was posted in First World War, France, Mametz Wood, Motorcycle road trip, Royal Field Artillery, Royal Garrison Artillery, Siege Battery 94, The Somme, Uncategorized, War Graves, World War One by HogriderDookes. Bookmark the permalink. My Gr Uncle Harry Dolby MM Gnr/Sig was in the 94th Siege Battery RGA listed on pgs 93 & 121 of the book u mentioned. I have his medals, dog tags, shoulder pin etc. Thank you so much for getting in touch. 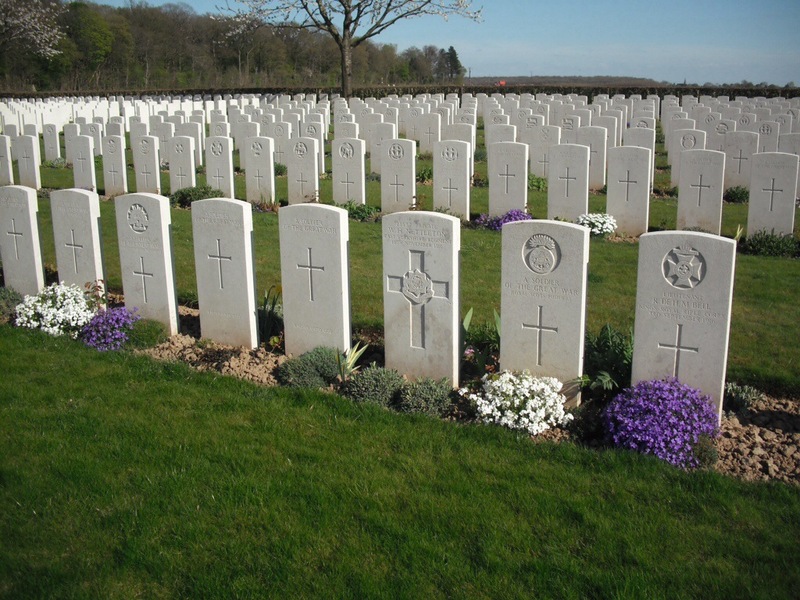 It’s nice to know that other relatives of the men in the battery are still remembering them. I see your Great Uncle was awarded the Military Medal, that’s quite an achievement. Good to see that he too survived. When I visited the locations that they had been all those years ago, it was both humbling and a bit weird to know that I was standing in exactly the places that the battery had once occupied. If you get the chance, do go experience it for yourself.